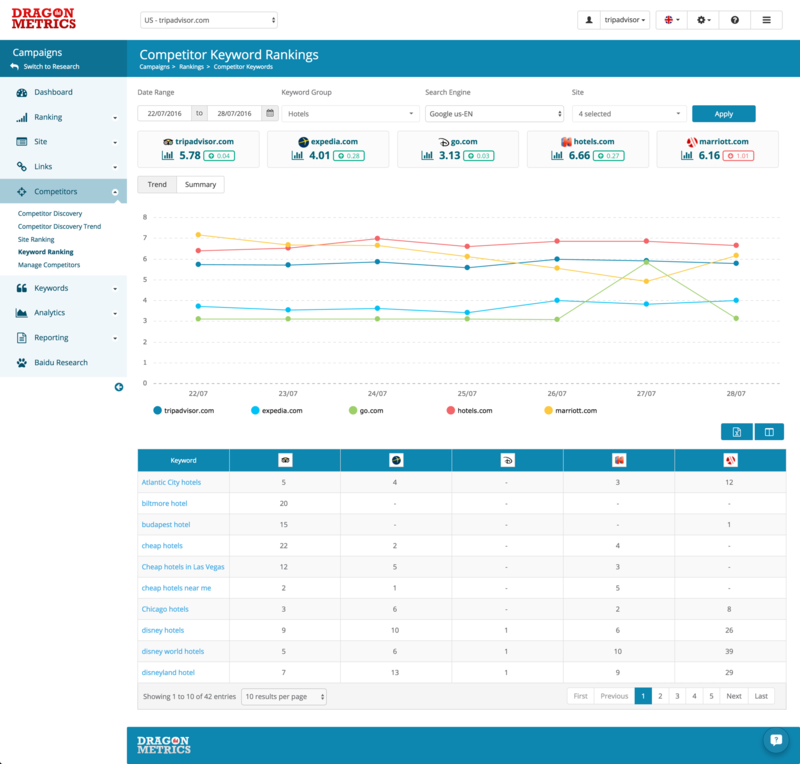 In Competitor Keyword Ranking report, you can compare ranking data for your desired combination of date range, keyword groups, search engines and competitors over time, from site level to single keyword level. How these selectors work together? All the Keyword Group within the campaign will be available here, Search Engines available here will be all the engines tracked in any selected keyword groups and the Sites available will be all the competitors being added to any selected Keyword Group. 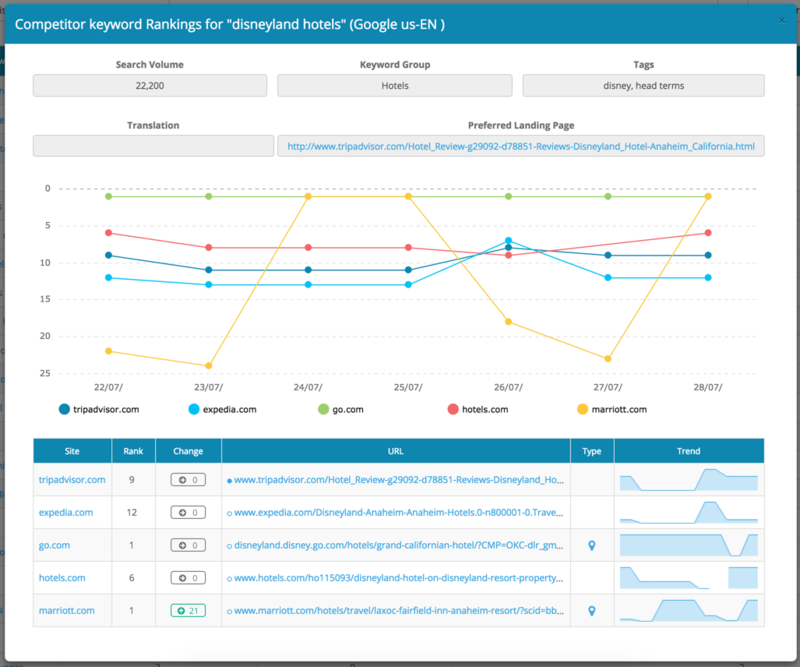 If you've chosen multiple Keyword Groups here, you can also select Search Engines or Sites that are only being added to one keyword group but not the others. As Dragon Metrics will try to display all the data based on what's being tracked, so when the above scenario happens, you might see some missing ranking data in this report. 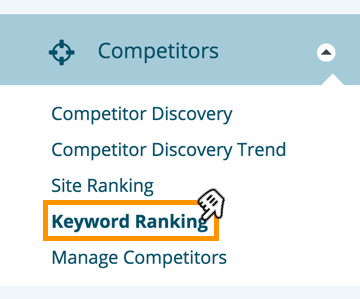 If you want to get keyword data without any missing fields in Competitor Keyword Rankings, the easiest way would be to choose 1 Keyword Group at a time. Within the callout you can see a colored little box, which is showing the fluctuations of Organic Visibility from the start date to the end date. Note: The displayed data points in the trend charts will be based on your selected date range. Extra columns of data like translations, search volume or search engines can be displayed within the table by toggling through View Options.